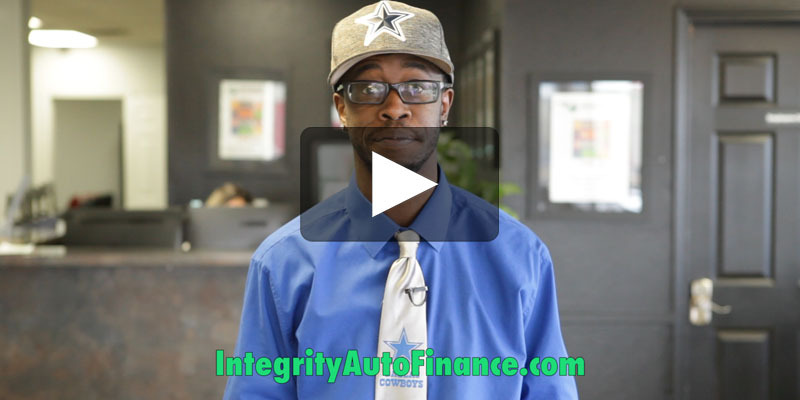 Integrity Auto Finance is now hiring! Check out the video below for more information. Dontay Pompey (Sales Manager): Are you ready to start a new career? Well, Integrity Auto Group is now hiring! If you’re tired of the cutthroat, everyone-for-themselves atmosphere at your typical car lot, then Integrity is the place for you. Here, we distribute sales opportunities equally to all of our sales people. We’ve got a huge selection of top-of-the-line inventory, including heavy-duty work trucks, third-row SUVs, and late-model, low-mileage sedans that you won’t find at other Buy Here Pay Here dealers. We’re constantly making efforts to improve business and outperform the competition. Our highly-targeted marketing campaigns continually generate qualified leads for our sales staff. And we’ve got a finance department that actually has your back, meaning we do what we say we’re going to do for our customers! This is why Integrity has been voted a Readers’ Choice Top 5 Business for several years in a row. With our Integrity Cares program, we strive to give to back to our customers and the community through our giveaways and youth sponsorships. Integrity also promotes from within, giving out employees an opportunity to grow within the company. In addition to sales associates, we’re also hiring for a variety of other roles, including automotive technicians and account managers. So, if you want to be a part of a great family-oriented team, then apply online, or come see us today. Sound like a good fit? Apply online today!